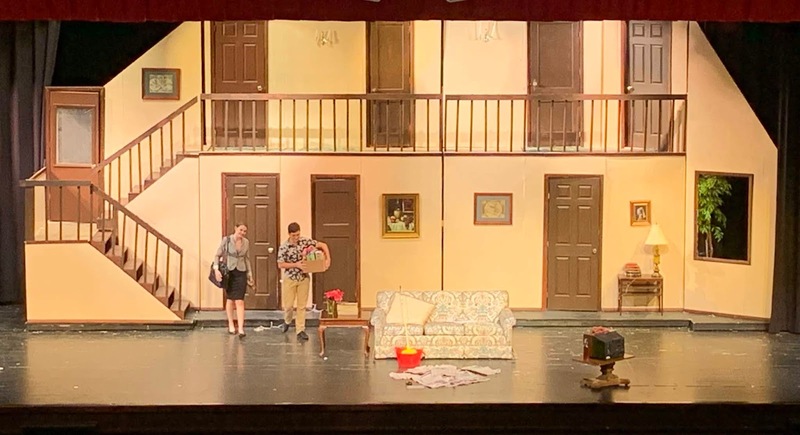 The fall play at TC Williams this year is Noises Off, a British comedy involving pairs of lovers and a lot of in/out of doors. 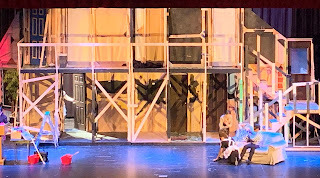 The leadership group was asked to bring set designs, but I was the only one to have a defined idea. I use Adobe Sketch to think out my ideas based on reading the script. 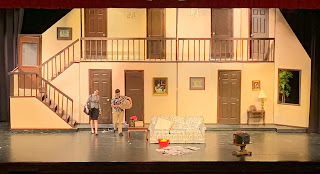 The set needs to rotate to show a front of the play within play set and in the second act the rear of the set to show the personal interactions of the players. It also needed to be two stories. And multiple steps. Here's the first take. With imputes and refinement from all the developed plan being constructed. Backstage at the first 10 minute intermission. There are three more shows...Thursday Nov. 15, Friday Nov. 16 and Saturday Nov. 17 at 7:30PM.